Some people (including my husband) love to grumble about the lines and offer the “too busy/too many people/too crowded” argument as to why families shouldn’t go to the mouse megapark. But can I tell you something fun? 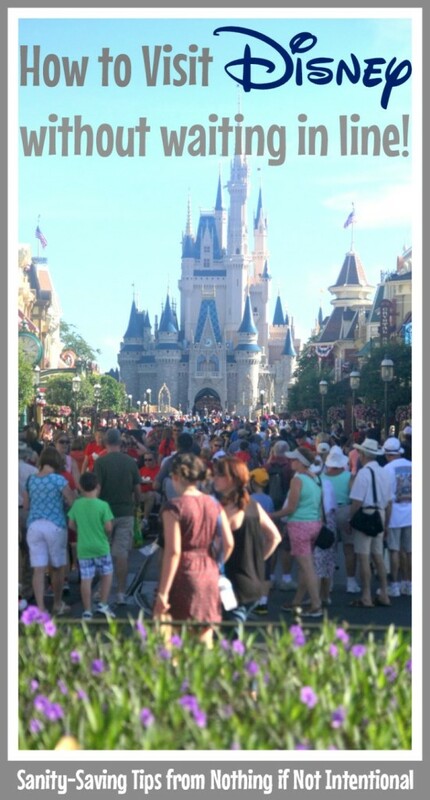 We went to Disney World (with four adults and two very young kids) in July 2014 (when crowd levels were at nine out of ten! ), and we didn’t wait in line. 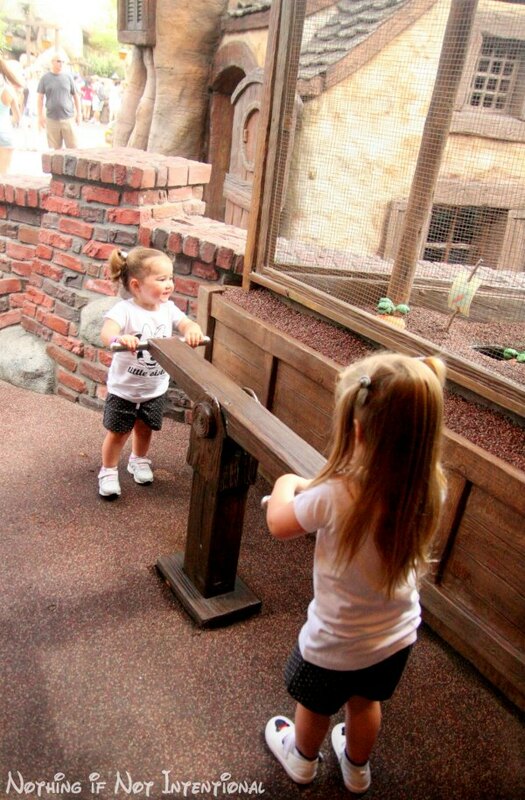 We simply walked on to most rides–even the popular ones like Splash Mountain! Doesn’t that sound amazing? (Perhaps even magical?) Those of you who are dreaming of a Disney trip are eager to know our secrets. Okay, hold on to your sunglasses, because here we go! 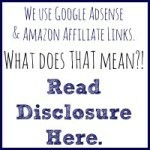 As always, this post contains affiliate links for your convenience. 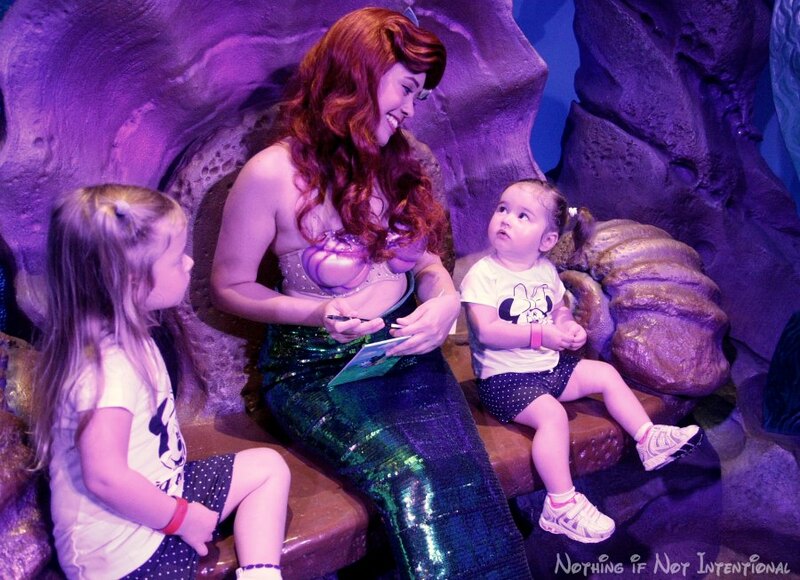 Some of these tips are specific to Disney World in Orlando, Florida. 1) Get to the parks early. I know, I know! You’ve heard this one before, but it’s worth repeating. Our girls (ages one and three at the time) sleep late (sometimes until 9:30 or 10! ), and I would rather eat cardboard than mess with their sleep schedules. But even I am willing to make sleep-related exceptions for the chance to see Minnie Mouse or to avoid long lines at the Magic Kingdom. Even though they were tired, we woke the girls up every day so that we could get to the parks when they opened. For us this meant planning well the night before. We took baths, readied the water bottles, loaded the strollers, put out outfits (see our DIY Disney clothes HERE) for the next day, and prepped breakfast so that we could walk out the door as soon as our girls woke up. We even did breakfast on the go! TIP: To-go styrofoam coffee cups (like THESE) are great for carrying scrambled eggs and instant oatmeal! 2) Make use of the FREE FastPass+ system. Shortly before our trip, Disney upgraded its old FastPass system to the new Fastpass+. FastPass+ is literally your ticket to skipping the lines. With FastPass+, Disney gives you the option to select a one hour window of time to visit three of your favorite rides each day. Under the Sea: FastPass+ time of 10:20-11:20 a.m.
Peter Pan: FastPass time+ of 11:25-12:25 p.m.
Speedway: FastPass time+ of 12:30-1:00 p.m.
During the assigned block of time, you can walk up to the ride, scan your FastPass+, and go through the super speedy FastPass+ lane. For us, the FastPass+ lane never involved more than a minute or two wait in the loading area. And it was oh-so-satisfying to practically run past the people who were waiting sadly for 60-90 minutes in the regular line beside us! When you’ve used all three of your FastPass+ assignments, you can go to a Fastpass+ kiosk to add a fourth Fastpass+. And when you’re finished with the fourth, you can go back to the kiosk and add a fifth. I think this kiosk system is a little clunky, and we encountered a few glitches. I’m hoping that eventually Disney allows you to add additional fastpasses through the easy-to-use app! Part of the magic of FastPass+ is that people no longer feel like they have to swarm to the most popular rides. We didn’t race to Mine Train (one of the latest and greatest roller coasters), for example, because we knew we had a FastPass+ for it later in the day. This means that the people are more spread out in general. It’s a brilliant crowd-control plan. One additional note: some of the popular rides and attractions (like meeting Anna and Elsa!) book quickly, so sign up for your Fastpass times as soon as possible! To learn more about FastPass+, check out Disney’s Fastpass+ FAQ section. 3) Have a touring plan. This goes hand in hand with selecting your FastPass+ options. You NEED to know where you’re going. I’m a compulsive planner, so this was fine for me. If you hate having a schedule on vacation, feel free to use mine as a guide. 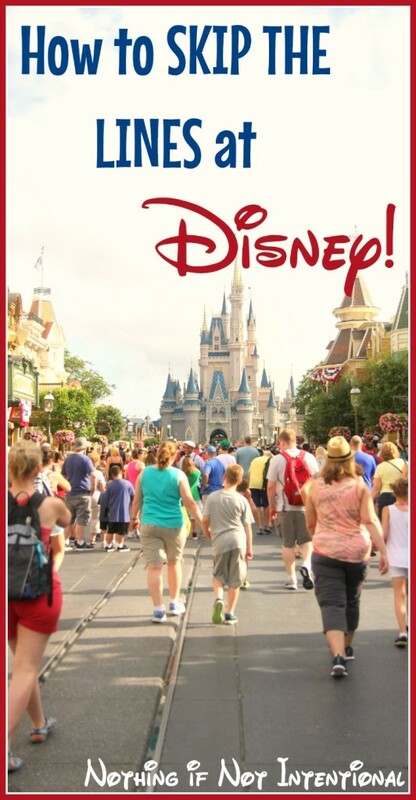 You can find our exact touring plan (for Magic Kingdom and Animal Kingdom) HERE. 4) Don’t waste a FastPass+ for fun lines like Dumbo and Winnie the Pooh. Technically, we waited in line for a bit (20 minutes) for these rides, but our girls may have actually preferred the line over the actual ride! The line at The Many Adventures of Winnie the Pooh is interactive with touch-screens, a story, balls, gophers to whack, (plastic) bees to play with and maneuver, a tunnel to climb through, and a treehouse to explore. 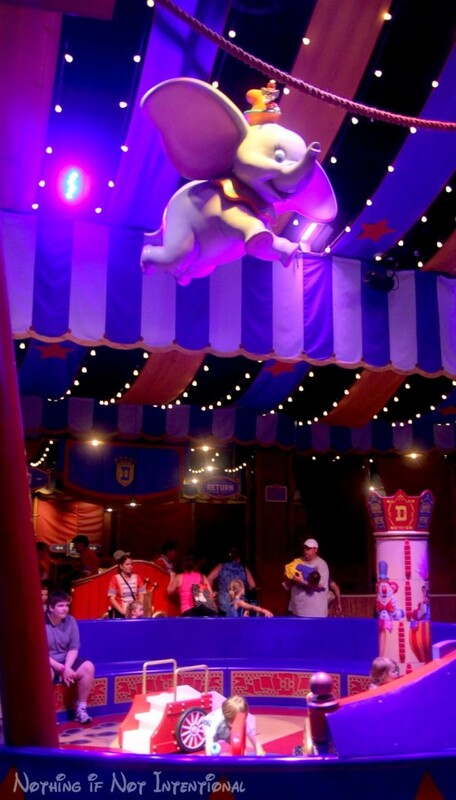 The Dumbo waiting area is a circus-themed indoor (read: air conditioned!) play ground. There was literally no wait for this ride when we went, but we chose to “wait” anyway so that our girls could play and we could enjoy the cool air. I’ve heard that The Haunted Mansion has a new interactive line as well, but we FastPassed that line. We’d take the little tot to the line (to prove we really did have a child under 40 inches), and ask for a rider switch ticket. Then one group of adults would ride with the preschooler while the second group stayed with the toddler. When the first group finished, the adults would swap tot-watching duties. Then the second group (which always included big sister) would ride again right away using the rider switch pass. (At the time of our trip, the rider switch tickets allowed for three guests to ride.) People with a rider switch pass get to skip to the front of the line! On our second day at the Magic Kingdom, we (four adults and two kids) went straight to Splash Mountain. There was no line (because we got there when the park opened), so we asked for a rider switch pass (no need to use a FastPass+ since there was no line!). One pair of adults stayed with the toddler, and the other pair took the preschooler and zipped through the non-existent line. At the end of the ride, the adults swapped and the second group used the rider switch pass to take the preschooler to the front of the line while the first group stayed with the too-short toddler. By then, the line was a bit longer so we used our previously scheduled FastPass to get ANOTHER rider switch pass. Group one rode with the preschooler. Group two stayed with the toddler. When they finished, group two used the rider switch ticket to ride with the preschooler while group one stayed with the toddler. For more information about the rider switch option, check out THIS info page on the Disney website. 6) Use the Single Rider line. At Animal Kingdom, Nate and I wanted to ride Expedition Everest, but we didn’t want to wait in line. Both of our girls were too short, so they stayed with the grandparents and we went through the single rider line. We weren’t seated together, but we avoided the 40-minute wait! 7) Stay late. We couldn’t get up early AND stay really late, but we did notice that the wait times lessened after dark. 8) Avoid Magic Hours. “Magic Hours” are extra hours when certain parks are open earlier or later and available only to guests staying on Disney property. Since we couldn’t bear to get up any earlier, we decided not to make use of the Magic Hours (even though they were available to us since we were staying on Disney property). Usually, the park with the extra Magic Hours is the one that is most busy on any given day. So we decided to skip the Magic Hours AND avoid the magic hour parks. Thus, avoiding the crowds. 9) Book a character meal. If you don’t want to wait to meet your favorite Disney friends, book a character meal! This is how our girls got to spend an evening with Tigger, Eeyore, Pooh, and Piglet without waiting in line. 10) Nap in the afternoon. The crowds are heavy. It’ll likely rain. Why not head back to your room for a rest so that you can head back to the parks in the evening when the lines are shorter? 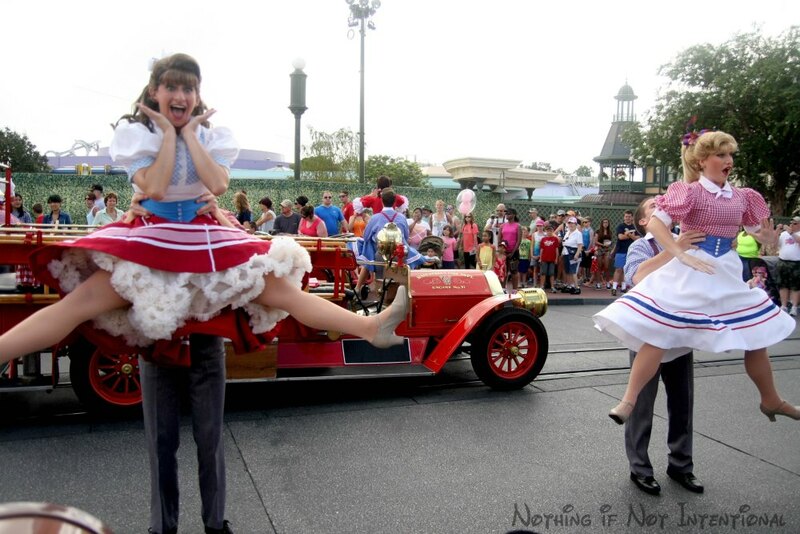 11) Ride during the parades or fireworks. The crowds flock to these big events! Which means the rides are emptier and the wait times are shorter. 12) Use an app to check wait times. Should you find that you have some downtime, check the apps to know which rides have the least painful wait. 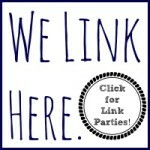 THIS link will take you to the official Disney app. Disclosure: We were generously offered two, one-day park hopper tickets courtesy of WDW. A token we happily accepted! All opinions are our own.